Nobody wants their holiday spending to end up in debt. We all want to go through the season without having to worry about the holiday debt that we incurred buying all the things that would make it special. The latter months of the year are one of the most expensive. According to Demacmedia.com, Quarter 4 is considered to be the biggest shopping season each year. Experts are forecasting that the holiday season will generate as much as $877.46 billion. That is a huge amount of money that you need to make sure will be spent wisely. But what exactly do we buy during this season? A lot! We buy gifts for the ones that we love. We plan parties and special meals to celebrate the season. We decorate our homes. Most of us really do not mind all the expenses because it is our way to spread the good cheer and happy holiday spirit. However, we want to be able to celebrate the season without fearing the dreaded holiday debt. The good news is, it is possible for you to celebrate the season without ending up in debt. You just have to start working on it right now. You may think that considering your holiday spending now is an exaggeration. The season is still a few months off. What can you gain by making early preparations about the expenses that you will make a few months from now? Apparently, there are 3 different reasons why you need to start managing your holiday spending early. The only way that you can avoid holiday debt is through planning. Obviously, planning means you have to think about your spending early. We have mentioned that this season is when consumers spend the highest each year. Most people will do just about anything to make sure that they can meet the financial obligations brought about by this season. Some of them are even willing to put themselves in debt for it. According to an article published on PRNewswire.com, consumers were more than willing to use their credit cards during this season. If their cash is not enough to meet the expenses that they need to spend on, then they will willingly use their cards and be in debt. The important thing is, the expense is met. Well if you prepare for your holiday spending early, you can anticipate how much you will need to meet all these financial obligations. You can save up for it and it will help keep you from having to use your credit cards. Apart from the holiday debt, you also have to consider the stress that this season will bring. You may be wondering, this season is supposed to be fun right? Why is there stress? Well, it is the whole season that you need to think of. Just think about the gifts that you will buy and the fact that almost everyone will be looking for something to give their loved ones as well. Everyone will be out buying things and conditions can quickly turn into a competition to buy the best gift for the season. This is the reason why Black Friday or Cyber Monday is such a big deal for Americans. People actually camp in the entrance of establishments just so they can be first in line to get the products that are on sale – at least this is true for the former. It is not just the gift buying that you need to think about. Your work should be keeping you quite busy now because it is the end of the year and reports are supposed to be made to wrap up the business that happened. You need to do all of these on top of all the gift buying and the preparations for the coming holidays. If you do not start early with your holiday spending plans, all of these can be quite overwhelming. If you start early, you can probably accomplish some of the tasks that you need to do for the holidays and thus finish even before people will start flooding the stores. While everyone is scrambling from store to store, your only concern now is how to wrap and send your gifts. The last reason why you need to start your holiday spending early is to help you save money. There are so many ways that this can happen. If you start early, you do not have to rush through your shopping errands. You can take your time – especially in researching the best deals. You can save a lot this way. Another way that you can save is by avoiding the peak season itself. You know how prices go up just because more people want to buy it? The same is true for some purchases during the holiday season. By shopping early, you can beat the higher prices during the peak season. These three reasons should motivate you to start thinking about what you will spend this holiday season. Here is a video from MonkeySee that offers tips to help you stay out of holiday debt this coming season. According to the spending trends discussed in UPS.com, Americans are ready to open their wallets to spend this year. This is according to a study done by Consumer Reports. 7 out of 10 Americans are now ready to buy the things that they put on hold because of the economic crash. This means consumers are more than ready to go full blast on their holiday spending. If you are intent on planning your holiday shopping early, here are 5 steps that you need to follow. Identify your spending categories. There are so many expenses when the holiday comes. You have the gifts, food (or should we say feast? ), decorations and the travel expenses. You need to list all of these categories. That way, you can allocate a separate budget for that. Know your budget. The next step is to understand your budget. Think about how much money you can allocate for the whole holiday spending. Ideally, you should only consider the money that you are sure you will receive. If there are any commissions or bonuses that you are not sure you will receive, then do not consider them just yet. Take note only of the money that you are sure to receive. Allocate a budget for each category. Once you understand how much you can afford to spend for the holidays, go ahead and allocate a budget for each category. Be smart about how much you will allocate. You can go ahead and be detailed about your expected spending – especially when it comes to the gifts. In case your budget will fall short, you may want to find ways to make your spending fit your budget. Save up for your shopping fund. Now that you know how much you need and the money you are expecting, you are encouraged to save. 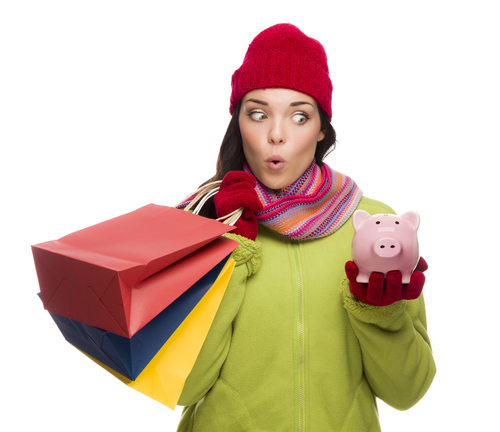 You should work on being financially fit for the holidays so you will have the money to spend. Be on the lookout for great deals. The last step is to be on the lookout for great deals. This is so you can save on your budget. Buying gifts and even your decorations on a discount can keep you from overspending. While these steps can help you prepare for the holiday spending, you need to make sure that whatever you will plan, you will follow. You can plan it all in detail but if you fail to follow it, then you might end up swimming in holiday debt.